Don’t know what to buy? Why not send a gift voucher. We offer 2 types of online voucher. Flexi Voucher – to send back to yourself then print or forward to someone else at a later date. 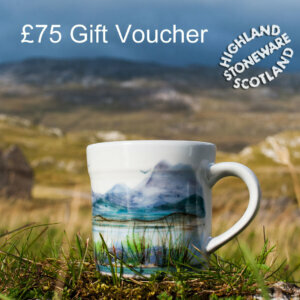 If you would rather buy a voucher to spend in our Lochinver or Ullapool workshops, please call us on 01571 844376 and we will be happy to post a voucher to you. This type of voucher can’t be redeemed online.